Homemakin and Decoratin: Yummy Mocha Latte! 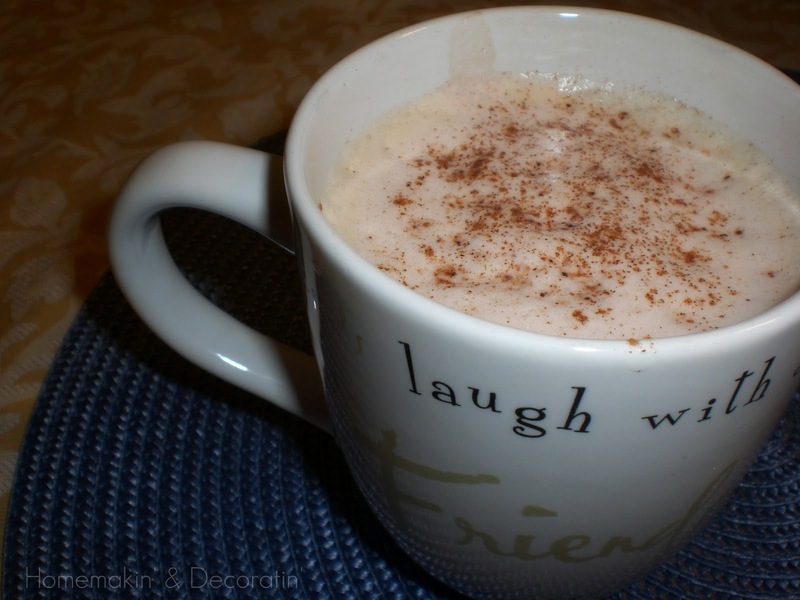 Tonight I found a recipe for a mocha latte, so I thought I'd try it out. And I shall make it again! 1 small splash premium (or at least real) vanilla extract. Slowly heat the milk mixture with half of the sugar, the vanilla extract, and the cocoa powder over medium-low heat in a small saucepan until it just starts to steam, whisking frequently. Dissolve the other half of the sugar in the hot espresso or concentrated coffee in your mug. Pour the steaming milk into a blender and blend over medium or high speed for approximately 20-30 seconds (to mix the cocoa thoroughly into the milk and break up any remaining clumps and to slightly aerate the milk -- foam in milk of this sort will not endure due to the addition of the chocolate). Pour the milk mixture into the coffee mixture. Garnish with foamed milk, a light dusting of cocoa powder or cinnamon powder, or real (sweetened) whipped cream if desired. ... Now, coffee usually has NO affect on me.. so we'll see what happens when I get to bed! ..